Enter the new Hoover Spring Cleaning Contest, in it, you get the chance to Win a Hoover Impulse Cordless Vacuum. This contest is open only to legal residents of Canada, excluding the province of Quebec, who are at least of the age of majority in their province or territory of residence. To enter you have to like the official Hoover Canada Facebook page and completely fill in the online entry form located at the competition web site with all the required information including your name, last name and email address, agree to the official rules and submit it. Contest ends on Sunday, March 31, 2019 at 11:59 pm EST. Winner will be selected by random draw. There is one Hoover IMPULSE cordless vacuum available to be won. 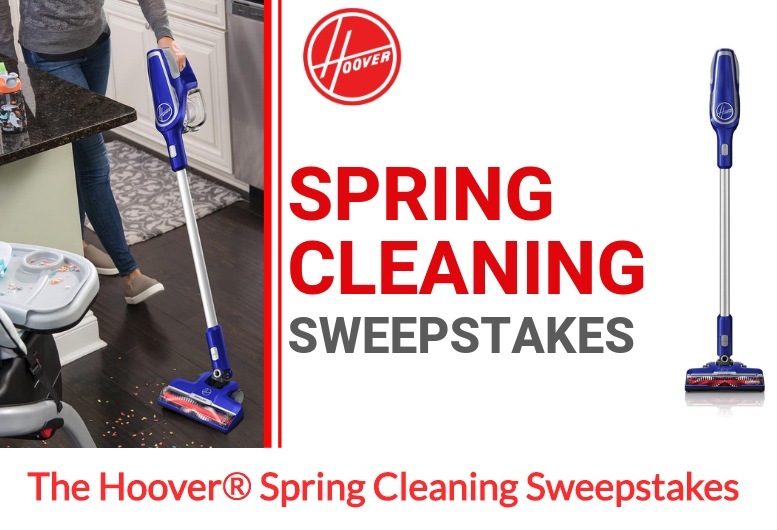 The Hoover Spring Cleaning Contest starts at 12:00 PM EST on Monday, March 18, 2019 and ends on Sunday, March 31, 2019 at 11:59 PM EST. The draw will take place on April 1, 2019. Winner will be notified by email or Facebook DM.